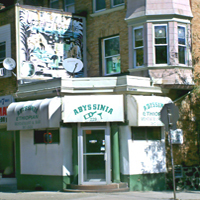 A tiny, trendy dive bar located above Abyssinia. There is music on weekends and over 40 bottles in the fridge. One of the better kept secrets in West Philly but shh, don't tell anyone.